A frequency measuring circuit continually monitors the generator output and provides output under-speed protection of the excitation system, by reducing the output voltage proportionally with speed below a pre-settable threshold. A manual adjustment is provided for factory setting of the under frequency roll off point, (UFRO).This can easily be changed to 50 or 60 Hz in the field by pushon link selection.Provision is made for the connection of a remote voltage trimmer, allowing the user fine control of the generator's output. 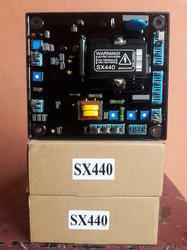 The SX440 positive voltage build up from residual levels is ensured by the use of efficient semiconductors in the power circuitry of the AVR. 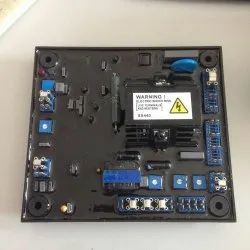 The AVR is linked with the main stator windings and the exciter field windings to provide closed loop control of the output voltage with load regulation of +/- 1.0%. Automatic Voltage Regulator (AVR) and forms part of the excitation system for a brush-less generator. 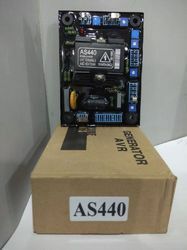 The AS440 AVR is a Automatic Voltage Regulator or half wave phase controlled thyristor type AVR and forms part of the excitation system for a brushless generator. 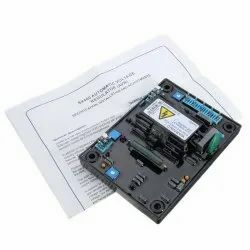 The design employs Surface Mount Technology (SMT) for high integration of features in a small footprint AVR. 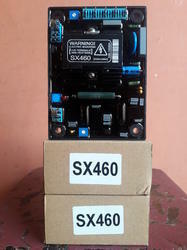 AS440 AVR E000-24403 to suit Stamford Newage. Looking for Alternator Generator ?